The speakers and themes confirmed for this year’s National Equine Forum (NEF) look set to deliver the most inspiring and stimulating debate yet in the event’s 24-year history. 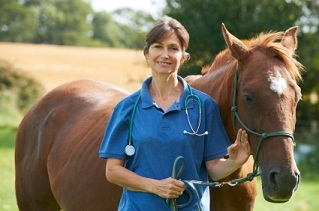 The highly popular NEF will be held on Thursday 3th March 2016, at the Institution of Mechanical Engineers, London, where principal vets, welfare officials and equestrian industry experts will be under the spotlight to discuss equine health, welfare, legislation, behaviour, competition and veterinary science. The prestigious Sir Colin Spedding Award will also be presented. The National Equine Forum brings together representatives from every strata of the equestrian industry for friendly, non-partisan debate. The aim is to inform, educate and help the industry to speak with the united strength of one voice on topical matters affecting the current and future management and wellbeing of the horse. The day will kick off with the theme United We Stand, Divided We Fall, involving panel discussion between some of the UK’s Chief Veterinary Officers Nigel Gibbens, Robert Huey and Sheila Voas and Animal Health and Welfare Inspector Steven Gale, chaired by Roly Owers, Chief Executive of World Horse Welfare. Jan Rogers, Head of Equine Development at the British Equestrian Federation (BEF) will cover the latest progress on the forthcoming central equine database and passport scheme. She will discuss what it means for PIOs and what the new database will mean for individual horse owners. Ben Hart, one of the UK’s leading equine trainers, will explore Behaviour in Working Equids and examine how we can we begin to change the welfare of equines around the world by changing people’s understanding of their behaviour. Professor Derek Knottenbelt will explain why it’s important to Always Consult the Professional. He will look at the conceptual differences between how humans seldom self-medicate to any degree whilst horse owners are often more inclined to consult with the ‘free options’ of pet shops, tack shops and feed merchants. He will also raise the thorny question of homeopathy and herbal medicine. Pip Kirby, Chief Executive Officer of The Pony Club will explore the role of the organisation in 2016. Dan Hughes, Performance Director for the BEF, will examine the challenges presented by the 2016 Rio Olympic and Paralympic Games. Jenny Hall, Chief Veterinary Officer for the British Horseracing Authority (BHA), will discuss why it’s imperative that The Horse Comes First in all aspects of racing. Dr Richard Newton, Head of Epidemiology and Disease Surveillance at the Animal Health Trust, will present the Inaugural Memorial Lecture. These lectures are to given each year by past winners of the Sir Colin Spedding Award, which was won by Dr Andrew Waller on behalf of the AHT’s Infectious Disease Group in 2014. In addition there will be a number of five-minute topical slots interspersed throughout the day and the winner of the Sir Colin Spedding Award will be announced and the award presented. This award was established in 2013 in recognition of the late Professor Sir Colin Spedding’s services to the equine sector – most especially for his extraordinary commitment in founding the National Equine Forum and then being Chair of the Forum for 19 years. The National Equine Forum is organised by a committee reflecting various sectors of the equestrian industry and has as its President HRH The Princess Royal. It is sponsored by Bedmax, the Blue Cross, British Equestrian Federation, British Equestrian Trade Association, British Equine Veterinary Association, British Horse Society, British Horseracing Authority, Bulley Davey, Craig Payne Photography, Darbys Solicitors, Dodson and Horrell, Donkey Sanctuary, Hadlow College, the Horse Trust, Jeffress Scholarship Trust, NFU Mutual Insurance, SEIB Insurance Brokers, Weatherbys and World Horse Welfare. Tickets are available to equestrian trade delegates and equestrian professionals at a cost of £100 per person, which includes lunch and refreshments throughout the day. To apply or to find out how you could enjoy the privilege of becoming a Friend of the Forum please contact the Hon Secretary, Mary Martin at mary.martin@nationalequineforum.com .